The Staff were excellent and helpful. The location of the hotel was central in the high street. It was close to all shopping outlets. Well done. Keep up the good work. Staff very helpful, moved me to a new room because the toilet flush wasn't working in my original room. Bed comfy, great central location. The hotel is beautiful and right in the centre of town which was convenient for walking about and exploring. Good value for money. Staff very helpful. 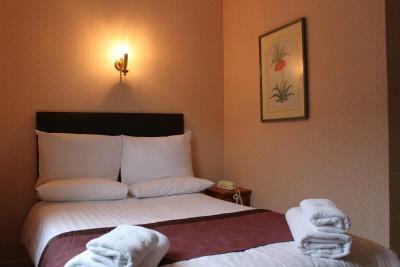 Comfortable bed and fluffy towels. Brook Red Lion Hotel This rating is a reflection of how the property compares to the industry standard when it comes to price, facilities and services available. It's based on a self-evaluation by the property. Use this rating to help choose your stay! Located in the town center of Colchester, the Grade I-listed Brook Red Lion Hotel is 1.5 miles from the Merville Barracks and 2 miles from the University of Essex. 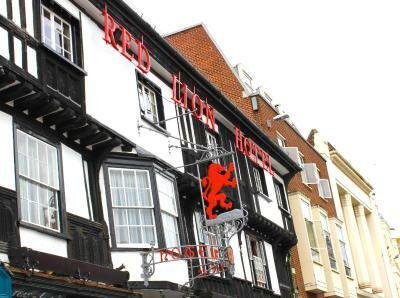 The Red Lion is ideal for Colchester Hospital, Colchester Castle, town center shopping and Colchester Zoo. 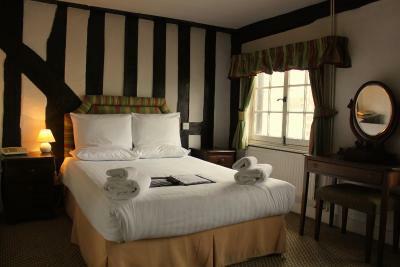 All 24 bedrooms, with original Tudor features, have a flat-screen multi-channel TV, complementary tea and coffee and a work desk, alongside a private bathroom. 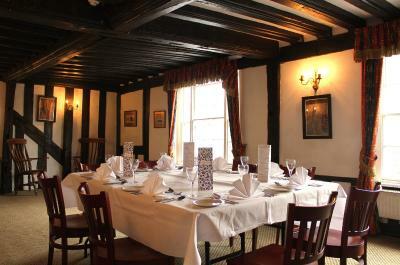 Dating back to 1485, the Parliament Restaurant has a large choice of dishes, all freshly prepared by a team of chefs. There is a 24-hour front desk, residents bar, free WiFi and discounted car parking. Colchester town train station is a 2 minute walk away and it offers direct routes to London Liverpool Street. 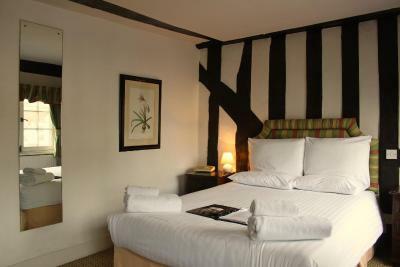 When would you like to stay at Brook Red Lion Hotel? 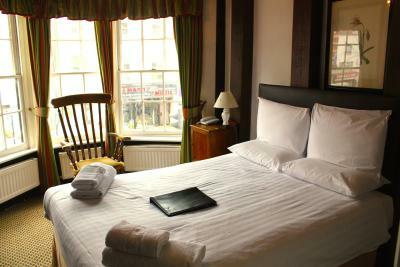 This double room features free WiFi, an en suite with a shower over the bath, a flat-screen TV and tea and coffee making facilities. With a four-poster bed, this spacious room includes free WiFi, an en suite with a shower over the bath, a flat-screen TV and tea and coffee making facilities. There is also a seating area. 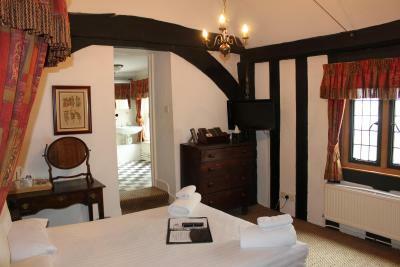 Each room has free WiFi, an en suite with a shower over the bath, a flat-screen TV and tea and coffee making facilities. 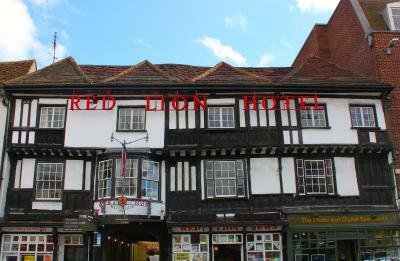 The Red Lion Hotel is one of the oldest Hotels in the UK. 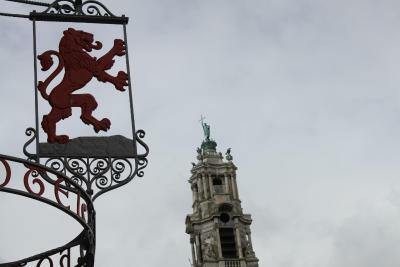 We are in the heart of Colchester and welcome guests from all around the world. 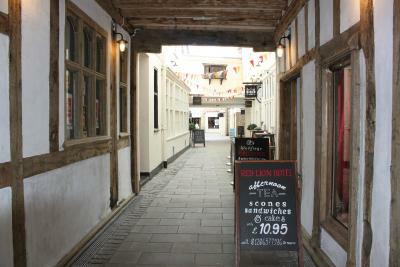 The hotel is famous as it was once the meeting place for Oliver Cromwell and his parliament. We are also famous for Alice our resident Ghost!. She is not always around but has been seen from time to time. Please call us for more details! House Rules Brook Red Lion Hotel takes special requests – add in the next step! Brook Red Lion Hotel accepts these cards and reserves the right to temporarily hold an amount prior to arrival. We were placed in a room facing onto the high street which was very noisy with night clubs and bars across the street which was highly thoughtless considering we arranged for a cot in our room. There is no disabled access to reception let alone any of the rooms. We didn't even get an apology for the sleepless night. No non-slip mat in the shower/bath. Beds too small, shower not great. No one in reception to sort room out so went out for a meal with bags! Reasonably varied menu, but more fresh fruit would have enhanced it. Very helpful, friendly staff. A comparative oasis of old architectural character in an otherwise sterile new shopping precinct. A big ancient yew tree complemented this experience on the way between hotel and car park.